Are you suffering from lower back pain? Is there discomfort when bending or sitting down? Was there any pulled back muscle? If the answer is yes, we can show you ways on how you can recover and bring back your active lifestyle. Nearly all people will experience this problem at some point in their life. You may have a low back strain, which is one of the main causes of back pain. When you stretch your back muscles too far, small tears form in the tissue. These tears weaken your muscles, which causes your spine to become less stable. You also can develop a low back strain from falling down, lifting a heavy object or bending over repeatedly. Stretching, performing aerobic exercise and strengthening your muscles are three things that will help you recover. In addition, follow our lifestyle guidelines to help speed up the rehabilitation process. What Three Muscles Support the Spine? The three muscles in the body that support the spine are the extensors, flexors and rotators. You can help with the recovery process by learning where these muscles are and how they work. Extensors: These are your back and gluteal muscles. These muscles help you stand, lift and extend your thighs away from your body. Flexors: These are your abdominal muscles. You use these muscles when you bend. They control the arch of your lower spine and help you move your thighs toward your body. Rotators: These are your side muscles. You use your rotators to stabilize the spine when you stand upright. In addition, they help maintain your posture and rotate your spine when needed. When you have a back injury, you may experience progressive stiffness. To lessen this stiffness, you must increase your range of motion in a controlled manner. A proper stretching routine can improve the flexibility and elasticity of the muscles, ligaments and tendons in your back. It is also important to stretch your other muscles. For example, you must stretch your legs to help avoid hamstring tightness. Hamstring tightness can limit your motion, which can also place unnecessary strain on your lower back. Make sure that you perform stretches properly so that you do not cause further harm to your body. Be reminded to avoid lifting heavy things in the first few weeks when there's pain. Lower back support belts are helpful in giving the compression support for the muscles. Low-impact aerobic exercise is a great technique to use both during and after the rehabilitation process. In our experience, patients who maintain a routine exercise program are less likely to experience chronic lower back pain. This also improved the blood flow, therefore promotes healing. If you are experiencing significant pain, start exercising in a way that puts less stress, but strengthens stomach and back muscles. One option is pool therapy. Swimming allows you to exercise without putting much stress on your joints. Another low-impact aerobic exercise is walking. To improve your conditioning, you must walk at a sustained pace for at least 20 to 30 minutes. One other option that we recommend is to use a stationary bike. A stationary bike has minimal impact on the spine. Sometimes, something as simple as eating healthy can help provide fast recovery from lower back pain. You need to create a balanced meal plan to use both during and after the rehabilitation process. Having excess weight on your body can slow the healing process, which is why you must adopt a healthy eating plan. Your body needs an adequate amount of healthy protein for the soft tissue to heal. Additionally, your body needs the vitamins and minerals found in fresh fruits and vegetables to heal properly. Depending on your needs, you may also need to take vitamin supplements. Calcium and vitamin D are known to make bones stronger and prevent osteoporosis. Do you smoke? If so, then you should consider kicking the habit to improve your lower back pain. Researchers found that cigarette smokers are more likely to experience back pain than non-smokers are. The reason for this is that smoking helps prevent adequate blood supply, which interferes with the spine’s ability to repair itself. As a result, the spine is not getting enough oxygen and other nutrients. You can improve oxygen flow through your back by kicking your smoking habit. Eliminating this bad habit is a great way to improve your rehabilitation outcome. Those who have lower back pain often experience anxiety about re-injuring their back. You must manage this anxiety so that you can regain normal muscle function. Anxiety can cause your central nervous system to respond to the pain. For example, your central nervous system may cause the surrounding muscles around your back to protect against further injury. Your body will never heal properly if you worry too much about injuring it again. You must avoid these neurological barriers so that your body can regain normal muscle functioning. One way to manage your anxiety is by taking some time for yourself. Spend a bit of time each day doing something relaxing that you enjoy. For example, you can spend an hour painting or reading a book. As you are relaxing, try to avoid thinking about your injury. Having poor posture can contribute to uneven weight distribution and spinal misalignment, therefore giving back pains. An easy way to correct your posture is to stand against a wall, have both the back of your head and the upper back part of your shoulder touch the wall. Do this as often as you can to create this habit. This exercise would make you become taller as you straighten your spine. Ensure to also maintain good posture when sitting down. 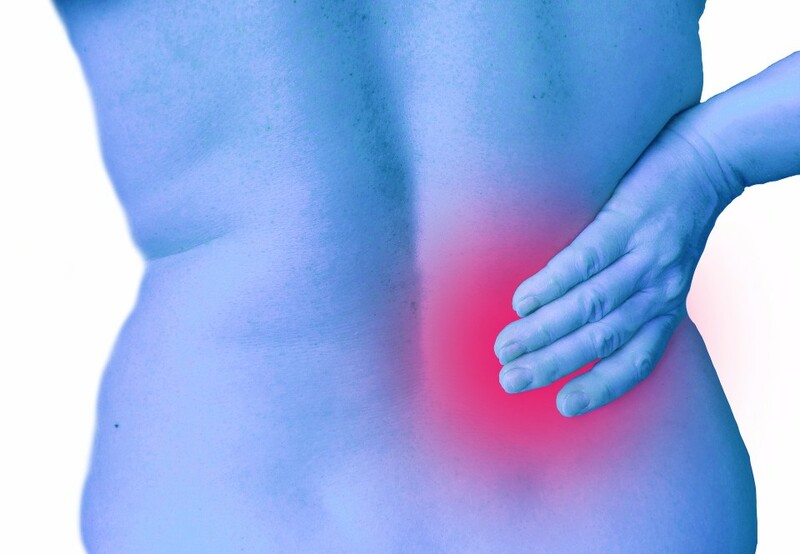 Using the best seat cushion that is right for your body would give great comfort and relieve any lower back pain. Another way to improve your lower back pain is by getting an adequate amount of sleep each night. You can even take the strain off your back by changing your sleeping position. Sleeping on your stomach- try putting a pillow under your lower abdomen to relieve the pain in your back. Sleeping on your side- place a body pillow between your knees to help ease the strain in your back. Back sleeper- try using a pillow under your knees. Another way is to make sure that your mattress is comfortable enough for you, as each one's preference is different. Medication is also a good source to help relieve your back pain. Your doctor may prescribe pain relief and anti-inflammatory medication to help ease your symptoms. With that said, exercise caution when using medication. Some people become addicted to pain medication, so make sure to discuss any concerns that you have with your doctor. The use of heat therapy or cold therapy is another solution that can help you recover from lower back pain. Some people even prefer massage therapy for low back pain management. Since every patient responds differently, we will help create a plan that works best for you. Knowing what steps to take will help you recover from a lower back pain quickly so that you can perform everyday tasks without pain.